The longest Santander balance transfer offers, previously available to new customers in the UK, are now no longer available after 15th January 2018. The Santander balance transfer offers had previously offered an introductory rate of 0% for 39 months on balance transfers from the date of account opening, This Santander credit card had a representative rate of 21.7% APR variable, after the end of the introductory offer period. 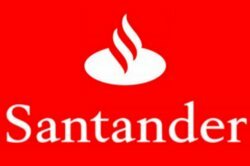 The withdrawal of these Santander balance transfer offers, does reduce the number of credit cards available with long 0% introductory offers. Sainsbury’s and Virgin Money have also withdrawn their longest balance transfer card offers from the UK market. There are still a couple of Santander balance transfer deals available. However these remaining Santander balance transfer offers are now for much shorter introductory periods. There is one further disadvantage of these remaining Santander balance transfer deals. The Santander balance transfer card with the longest 0% offer has a monthly fee of £3. Very few 0% balance transfer credit cards in the UK which charge a monthly or annual fee. Cards with a monthly, or annual fee, are often very unpopular with customers, because of the ongoing fees. Santander, like all the other UK credit card issuers, does not allow balance transfers from existing customers. You can not transfer a balance from one card to another issued by the same company. So an existing customer with a Santander credit card can no transfer the balance to another Santander credit card. There are however a number of Santander balance transfer offers for existing customers available. These deals and offers are available from many of the other UK credit card companies. The Santander 123 balance transfer card had offered customers up to 3% cash back. However this card has also now both been withdrawn and is no longer available to new customers. Santander is the name for the bank which was formerly known as Abbey in the UK and also includes the former Bradford & Bingley and Alliance & Leicester building societies. Santander, like several other UK banks no longer offer the most competitive balance transfer credit cards. However the likes of the HSBC balance transfer credit card, which often has a cashback offer proves that competition is ongoing for new card customers. « « Mastercard To Mastercard Transfer?